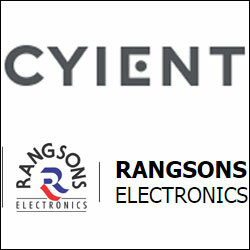 Hyderabad-based IT company Cyient Ltd (formerly Infotech Enterprises) has signed a definitive agreement to acquire 74 per cent equity stake in Mysore-headquartered Rangsons Electronics Private Limited, an electronics systems design and manufacturing (ESDM) services company, in all cash transaction, as per a stock marker disclosure. Financial terms of the acquisition remain undisclosed. The acquisition is part of Cyient's S3 (services, systems and solutions) strategy to expand into high-technology and high-value, design-led systems and solutions. "With its strong domain expertise coupled with a comprehensive solution portfolio, industry-relevant certification and global customers, Rangsons Electronics fits extremely well in Cyient's business. The new relationship will help Cyient expand its core business while deepening partnerships with OEM customer," Krishna Bodanapu, managing director and CEO of Cyient said in the statement. The acquisition is Cyient's third in less than a year. Earlier in 2014, it had acquired US-based end-to-end IT services management solutions provider Softential Inc and a start-up data sciences company Invati Insights. "We have found a complementary partner in Cyient, who has built a global engineering solutions business backed by strong technology and ethos. We are proud to associate with them and believe the combined entity will be positioned uniquely as an end-to-end integrated engineering, design and achieving our shared growth objectives" said Pavan Ranga, CEO of Rangsons Electronics. Led by BVR Mohan Reddy (executive chairman), Cyient is an engineering and network solutions firm that provides solutions including product development and life-cycle support. The company is a qualified supplier to global OEM's across defence and aerospace, medical, automotive, telecommunications, and industrial segments. It counts Carlyle and ChrysCapital among its institutional shareholders. Avendus Capital advised Cyient and o3 Capital advised Rangsons in the transaction.